Custom made crystal and polished aluminium globe trophy, stands 35cms tall. 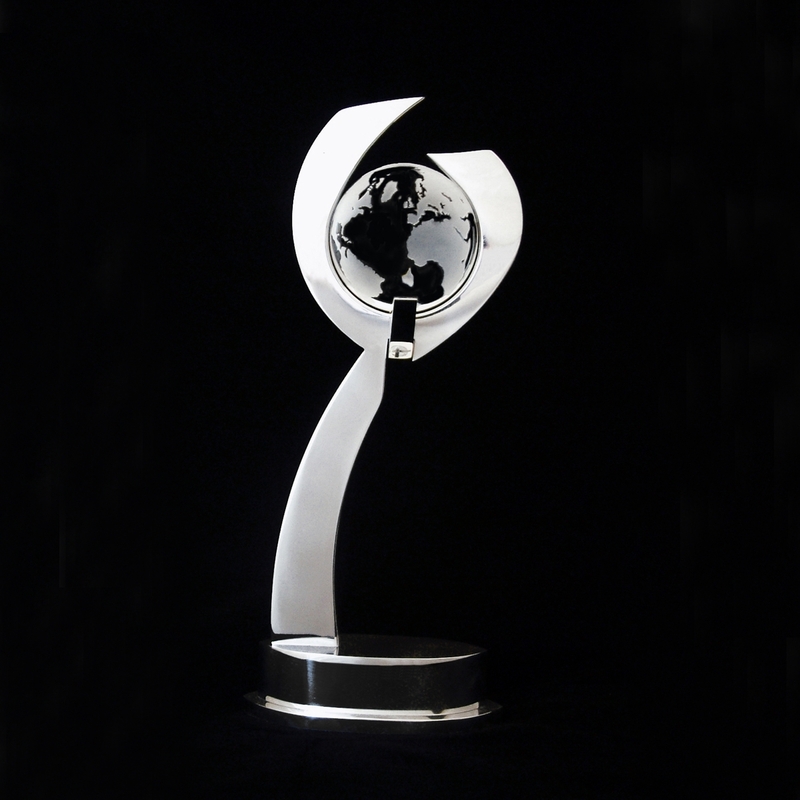 Cut from polished aluminium with the globe cradled at the top. Globe can be swapped for a football, cricket ball, tennis ball etc.